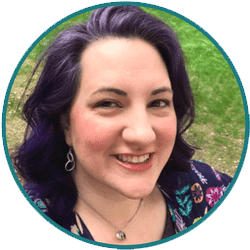 Did you craft along with me when we made a Patriotic Windchime this summer? 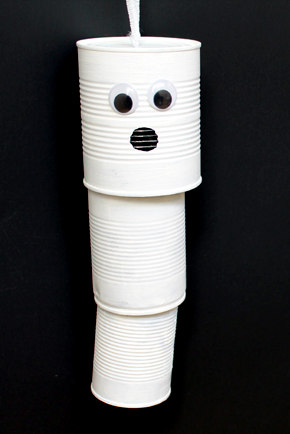 The tin can windchime is back and ready for Halloween as a friendly ghost! Make several and hang them from a tree in your yard or in groups on your porch. Clean and dry your cans well to remove labels any food residue. To work well for this craft, cans should have only had their lids removed, with the sides and bottom still intact. 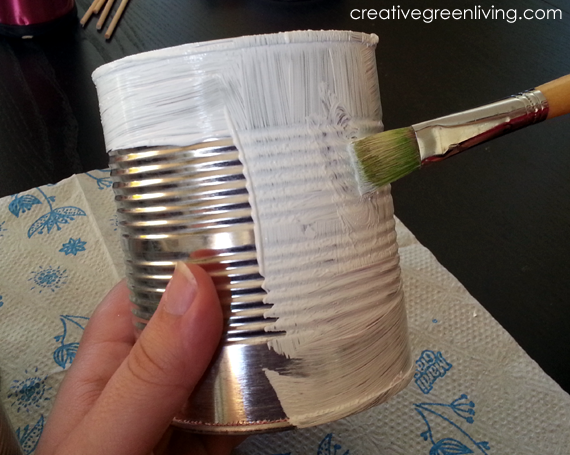 Paint the cans white. The Martha Stewart paint is great because you can use it on all kinds of surfaces including metal without using primer. Allow to dry and do a second or third coat if needed. 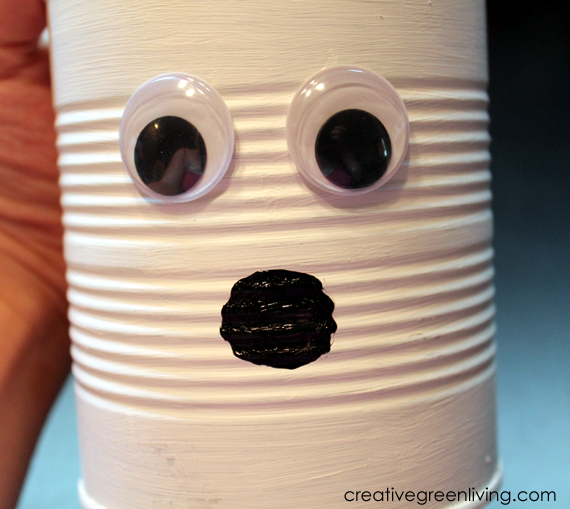 Use E-6000 glue to adhere the googley eyes to the can (I used E-6000 because it is highly weather resistant). Use a paintbrush and black paint to add a circle for a mouth. 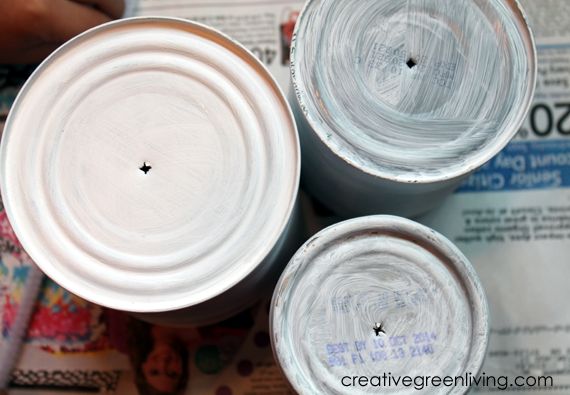 Use a hammer and screw driver to punch a hole in the center bottom of each can. Tie a knot in the bottom of a chenille stem and thread it inside the smallest can and through the hole in the bottom. 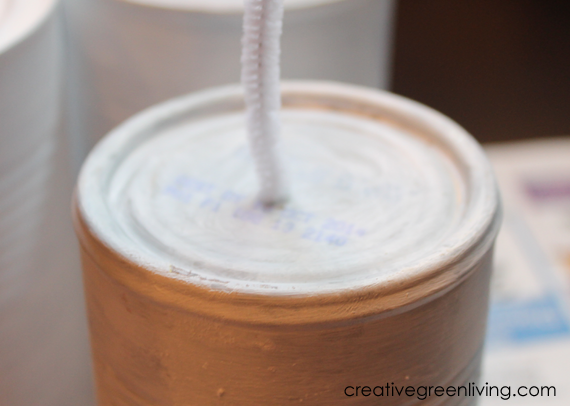 Tie a knot a few inches up and add the medium sized can. You will probably need to join a second chenille stem in order to thread the largest can on. Add a loop with excess chenille stem for hanging. 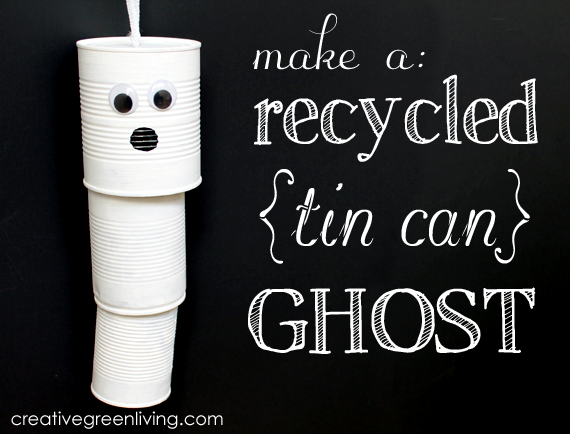 I hope you like my friendly recycled ghost craft! Click here to see more Halloween crafts on my site.